The vent exhaust for a clothes dryer is a simple duct, but it may become a serious problem, and, in some cases, represent a fire-hazard. 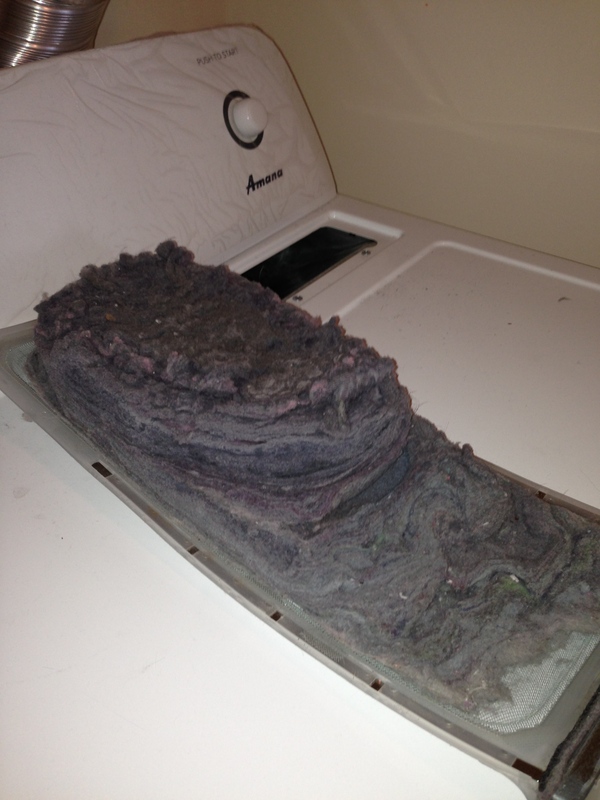 Homeowners often ask how to clean their dryer vent, and how frequently this cleaning should be done. Below, you will find detailed answers, as well as more information how to keep your family and home safe. 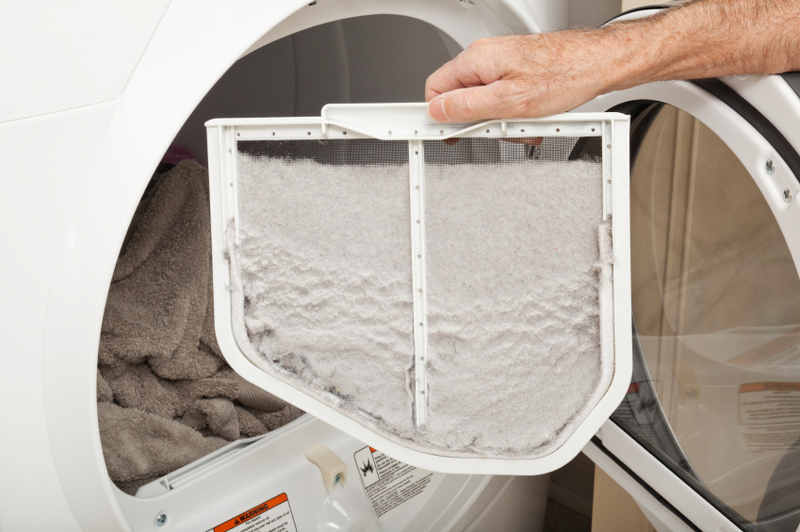 Lint trap cleaning is critical, since the screen also protects the dryer “blower wheel.” The lint trap must be cleaned after every load. The picture shows failure to perform that action. Any homeowner may clean their vents, using a simple DIY dryer vent cleaning kit which is available at most local hardware stores. Keep in mind, however, that those kits are made of poor quality materials, and are likely to break during the cleaning process. A cleaning brush left in the vent will lead to a clog, as well as to poor dryer machine performance, overheating, and, potentially, fire. 2. Open the dryer machine door. Remove and clean the lint screen. 3. Connect a paper-bag-equipped vacuum to the exhaust vent from outside,and perform brushing according to the instructions on your dryer vent cleaning kit (electric drill required). All steps must be performed with care so that you do not damage the dryer vent itself. For the best possible result, you may want to hire a professional, insured dryer vent cleaning company. All WellDuct technicians have years of experience in cleaning HVAC air ducts and dryer vents. We use professional dryer vent cleaning kits to scrape off lint build-up inside the vent, and restore the integrity of the vent. We only use HEPA certified vacuums to perform the cleaning process, resulting in less damage to your indoor environment.